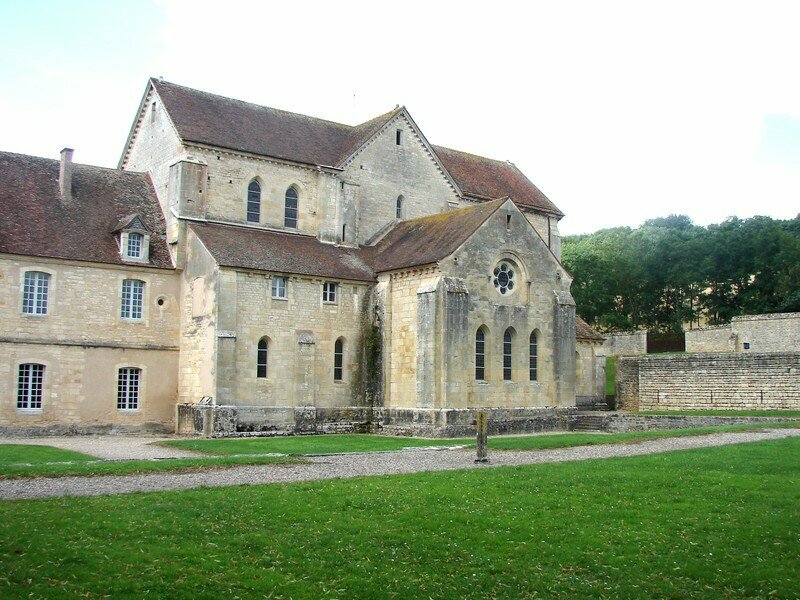 After having crossed the arcade, remains long arched passage which formed the entry of the fence, we are in front of the abbey church. 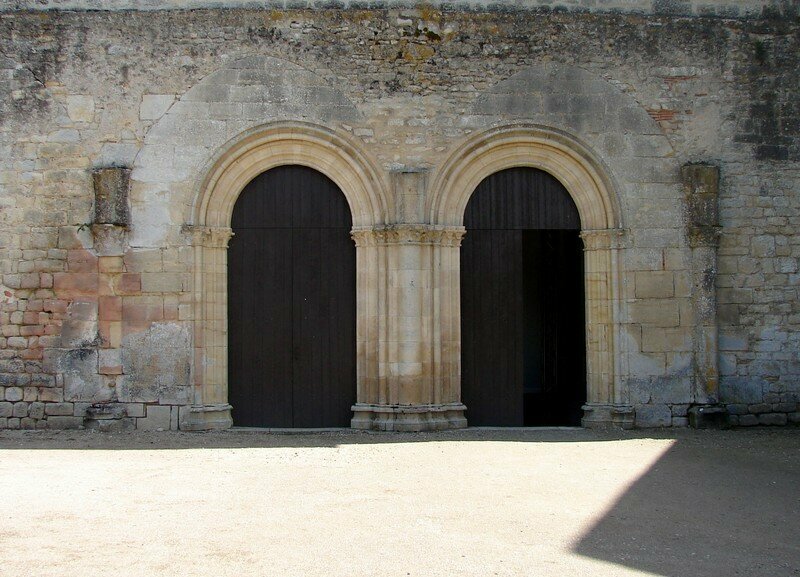 The gate of entry, on the Western frontage, was in XIIIth century preceded by a porch of 4 arched spans. 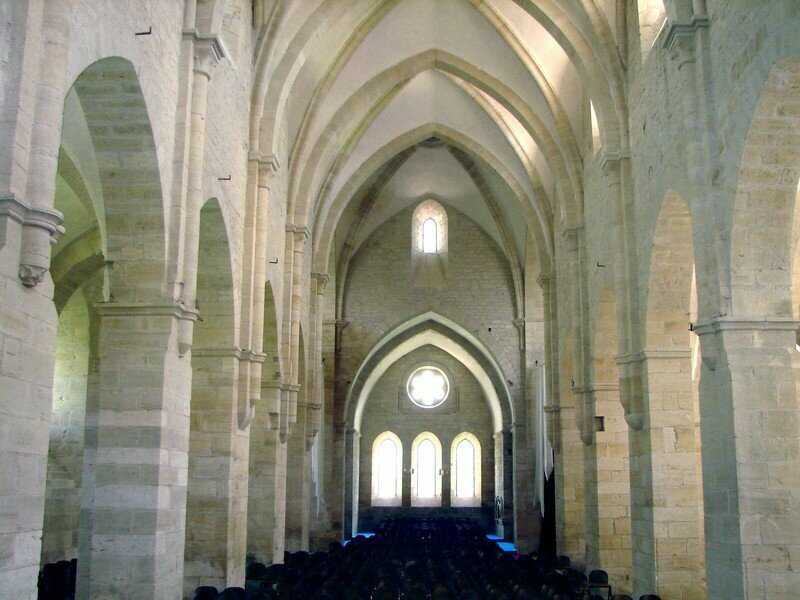 The church takes again the cistercian plan in cross, composed of two spans with flat bedside, opened on the transept crossing whose each brace carries, in the East, two vaults. 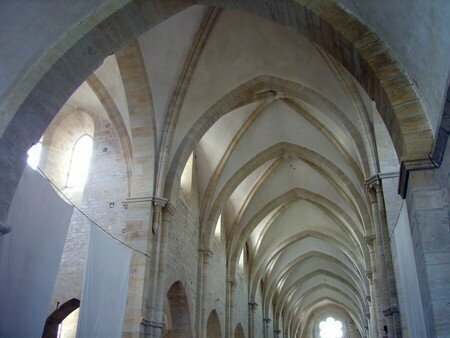 Overall length of 59 m, width 17, length of the transept 28 m and width 8 m, chorus reduced to 10 m by 8. The vaults of the transept rise to 17 m under key. 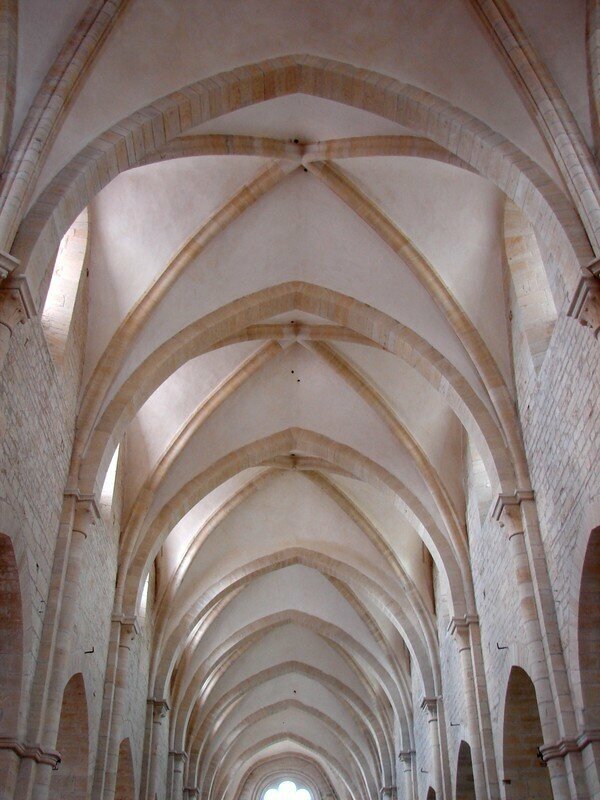 It should be noted that the width of the principal nave passes 8 m between the piles close to the transept to 7,35 m at the entry of the church, which forms a trapezoid and not a rectangle, as in Bourges. 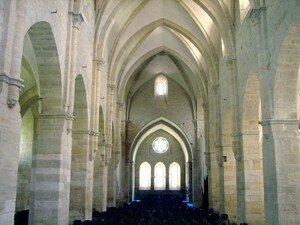 The unit was built in three shifts: 1150-1160, which saw rising the sanctuary, the transept, and the first two spans. Then between 1170 and 1190, the Southern wall of the nave, which borders the northern gallery of the cloister, then finally, in first half of XIIIth century, the completion of the nave, the frontage of entry and the porch. 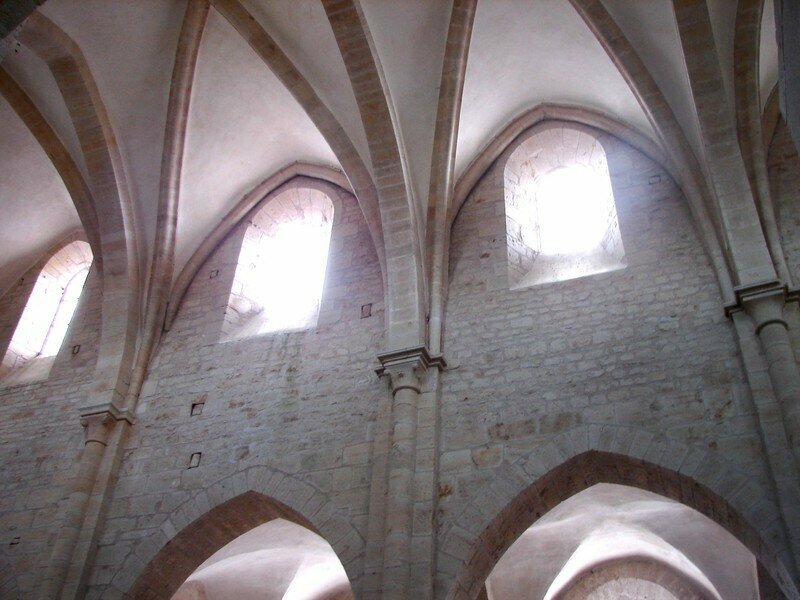 The church comprises two levels of rise: small windows nest under the vaults, above large broken arcades. Those fall down on rectangular piles. 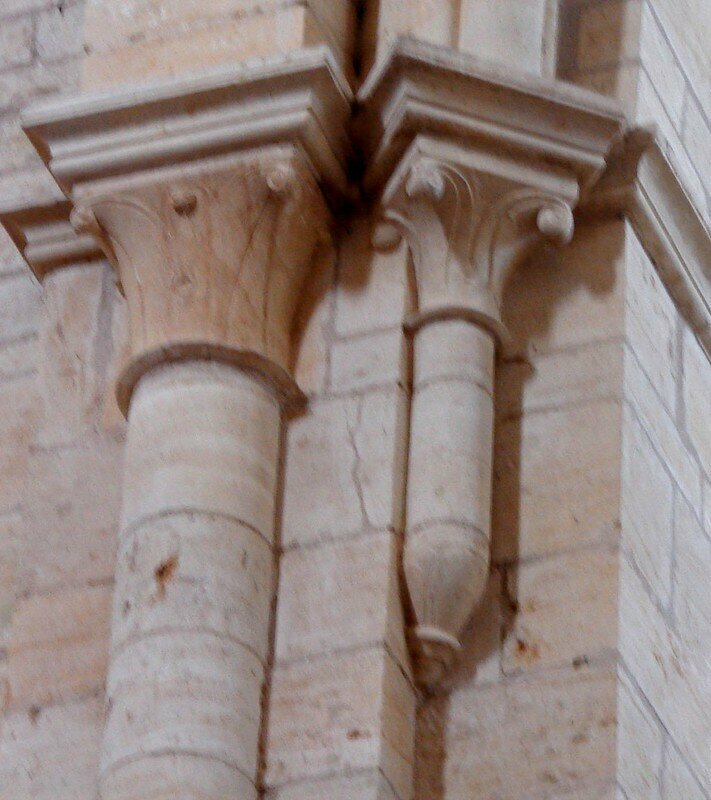 The barrel of the columns narrows in its high part, on the level of the bases, which support the repercussion of the warheads. 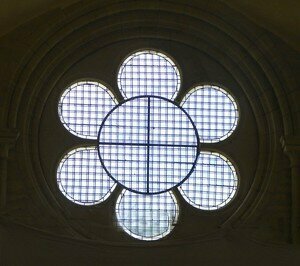 The northern arm of the transept is lit by three broken windows and a polylobed pink. 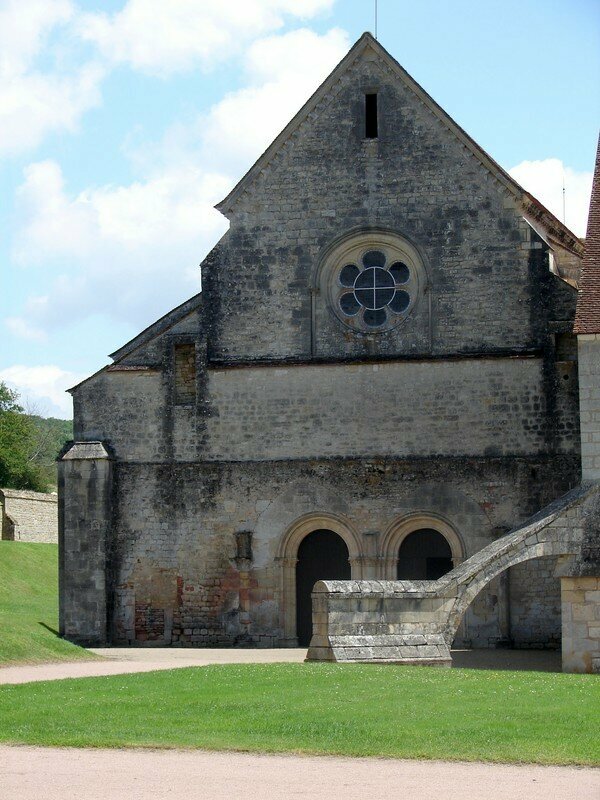 At the extremity, one finds the door of dead which gave on the old cemetery, located behind the head of the church close to a vault dedicated to Marie-madeleine, missing in the XVIIIth century.